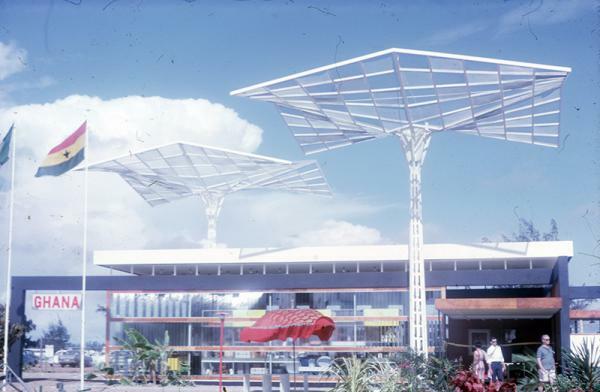 This talk revisits one of the most under-researched topics in the history of 20th century modern architecture: African and Asian engagements of architects, planners, and construction companies from socialist countries. Upon their arrival to postcolonial Ghana and Nigeria, architects from socialist Hungary, Poland, and Yugoslavia drew analogies between the historical experience of Eastern Europe and West Africa as underdeveloped, colonized, and peripheral. This talk will show how these analogies allowed them to draw upon specific design tools and procedures from Eastern European architectural culture—and how their work in West Africa testified to the limits of these correspondences. Łukasz Stanek is a visiting associate professor of architecture at U-M, and senior lecturer at the Manchester School of Architecture, the University of Manchester, U.K. Stanek authored "Henri Lefebvre on Space: Architecture, Urban Research, and the Production of Theory" (2011) and edited Lefebvre’s book "Toward an Architecture of Enjoyment" (2014). He published on cold war mobilities of architecture between socialist countries, West Africa, and the Middle East, which is the topic of his forthcoming book. Previously Stanek taught at ETH Zurich and Harvard University, and received fellowships from the Center for Advanced Study in Visual Arts (Washington D. C.), among other institutions. If you are a person with a disability who requires an accommodation to attend this event, please reach out to crees@umich.edu at least 2 weeks in advance of this event. Please be aware that advance notice is necessary as some accommodations may require more time for the university to arrange. Videos of programs organized by WCEE affiliates are posted on the CES, CPPS, and CREES websites. Videos of select events are also available on the University of Michigan's YouTube Channel. The Weiser Center for Europe and Eurasia and its affiliates organize a number of public events each year such as lectures, conferences, and films, many in collaboration with other U-M units. Please use our searchable events calendar for information about upcoming programs sponsored by WCEE. To see all events organized by WCEE and its affiliates this semester, as well as our associated unit the Weiser Center for Emerging Democracies, click the image to the right for a PDF calendar.